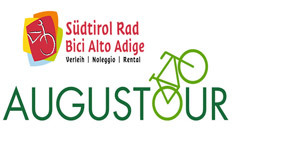 As part of the cycle route along the “Via Claudia Augusta”, the AUGUSTOUR event offers not only sporting activities, but also gastronomic highlights and some very special cultural stops thanks to the new collaboration with the FAI* (Fondo Ambiente Italiano). 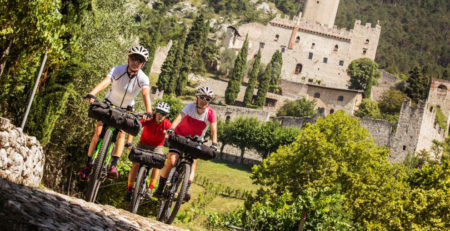 For example, we visit a splendid palazzo (Betta Grillo) in Rovereto, a castle (Castello di Avio) along the cycle route and the historic centre of Trento with its beautiful cathedral and piazza, always accompanied by FAI volunteers (Deleagion Trento / Rovereto). Imposing and elegant, the Cathedral of Trento dedicated to San Vigilio dominates the square, and together with the Fountain of Neptune, gives a glance worthy of the most beautiful Italian cities of art. 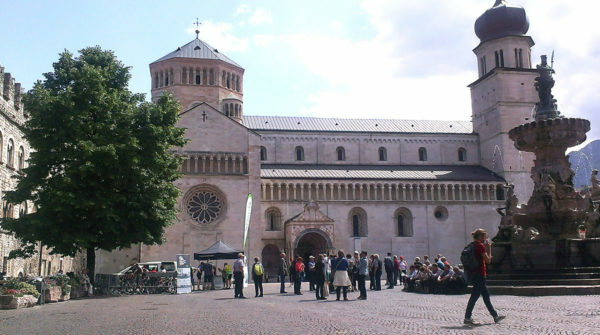 The cathedral of S. Vigilio, the Cathedral was rebuilt from 1212 in beautiful Romanesque-Lombard style by order of Federico Vanga, one of the bishops who have contributed most to the urban and artistic development of the city. 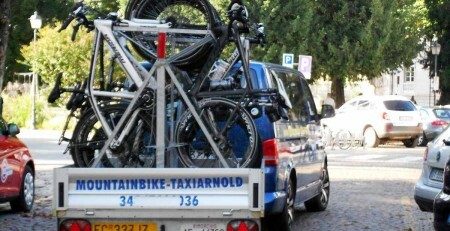 The bishop entrusted the project to the workers of Campione led by Adam of Arogno. Here the decrees of the Council of Trento (1545-1563) were promulgated. Also worth a visit is the Paleochristian Basilica of San Vigilio, in the subsoil of the Cathedral. In 1728 the palace was bought by the Betta family. 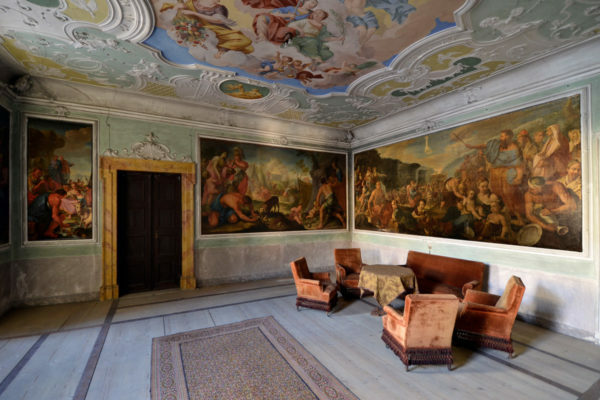 The main floor of Palazzo Betta-Grillo is extremely representative of the refinement and luxury that had spread in the patrician homes of Rovereto during the eighteenth century. The pictorial cycles also testify to the love for art and the high cultural level of the client Palazzo Betta-Grillo houses within it an important pictorial cycle consisting of seven large-format canvases depicting episodes from the life of Moses (by Gasparantonio Baroni Cavalcabò). Extremely interesting is also the hall on the main floor of the palace and the historic garden that preserves intact the layout of the late nineteenth century and offers a large sample of ornamental botanical species widespread at that time. In 1899 the building was purchased by the Grillo family. 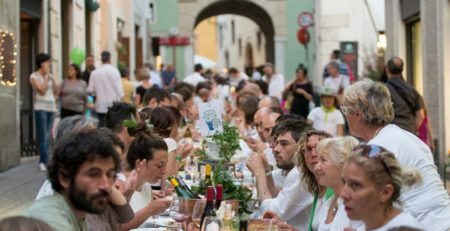 Now the building is owned by the municipality, as the last descendant of the family, Professor Maria Angelica Grillo, donated it to the city of Rovereto in September 2017. 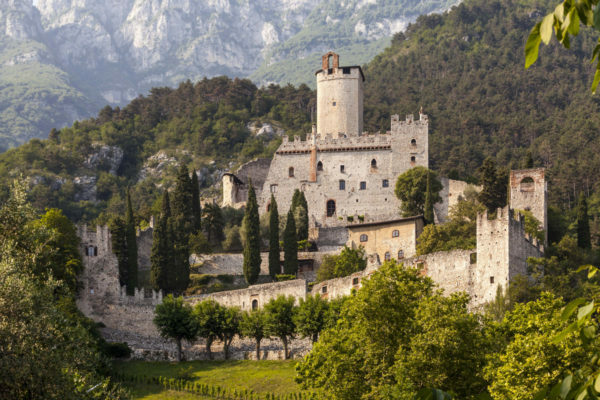 A large castle complex, one of the most evocative in the Trentino region, lies on the hilly landscape, following the succession of cliffs with the mighty walls, the five towers, the baronial palace and the imposing donjon. Isolated in the green is the house of the guards, which houses an extraordinary cycle of fourteenth-century frescoes with scenes of war. The “Room of Love”(stanza d´Amore”) in the keep is no less important: with its refined frescoes dating from 1330 to 1333, it represents an early example of secular painting from the 14th century. Famous guests have taken turns within the walls of this manor house: from the Lombard king Autari, with his wife Teodolinda, to the emperors Charles V and Maximilian of Habsburg. The castello is located in Sabbionara d’Avio, near Rovereto.